Closet Organizer 3 Tier Shelves 2 Collapsible Drawers $26.99! 3 Tier Shelves with 2 Collapsible Drawers Only $26.99! This great little closet organizer has it all and is perfect for smaller spaces and stylish enough to sit outside the closet. 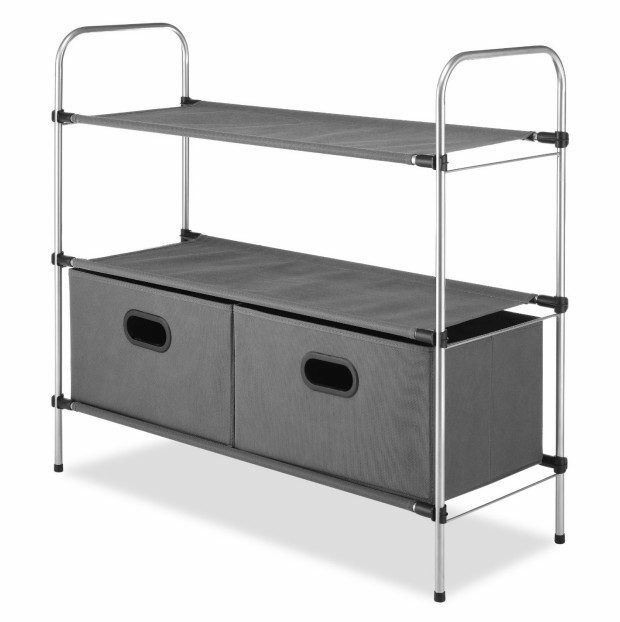 It features a sturdy epoxy coated metal frame with 3 strong fabric shelves and 2 collapsible fabric storage drawers. The drawers feature an identification plate in front. The soft breathable fabric used as shelves and drawers keeps stored items fresh and will not snag or tear clothing. Easy to assemble requiring no tools. Measures: 12.00″L x 31.63″W x 28.63″H!